Elite clubs, government organizations, secret vaults with ancient artifacts — there are a lot of places in the world whose location is kept in the strictest confidence, and only a few people can visit them. Bright Side will try to lift the veil of secrecy and tell you about 10 secret places which are almost impossible to get into. It’s a secret organization in North Korea, the most closed country in the world. Room 39 has existed since 1970. According to some assumptions, its task is to conduct illegal operations in the interests of the government. It’s believed that it’s there that foreign currency is exchanged and weapons are sold. The exact location of room 39 is unknown. Since the creation of the drink, its recipe has been kept in the strictest confidence and is locked in a vault only the company management can enter. Some believe the safe is just a decoration, and the recipe is learned by heart by several managers. According to another version, the recipe was published back in 1979. But to check its reliability you need to get into the vault, and no one has succeeded yet. “Bohemian Grove“ is an elite club located in the ancient relic forest of California. Every year since 1899, the most influential people of the world (including American presidents) gather here. The wait to join the club is about 15 years. Participants can invite guests from all over the world who will need to sign a nondisclosure document. 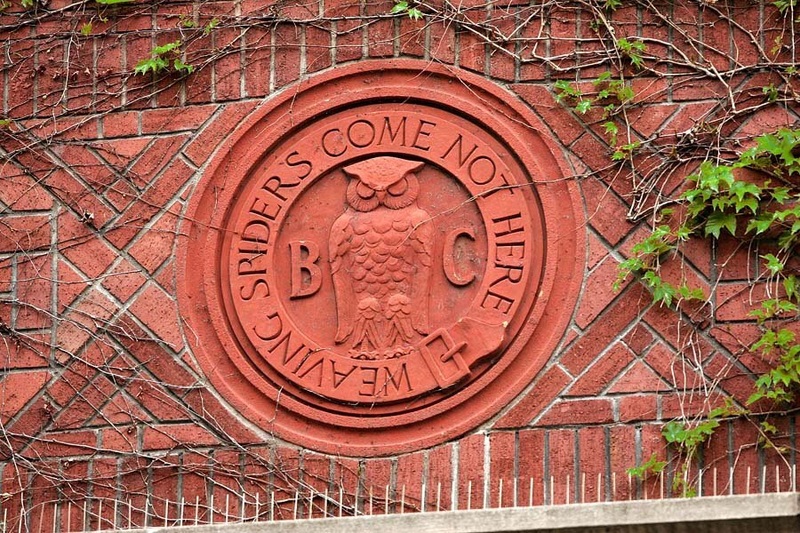 The club’s motto is ”Weaving spiders come not here," which means that all business needs to be left outside. However, contrary to these words, it’s believed that it was here in 1942 that the Manhattan Project for the creation of an atomic bomb was signed. The most exclusive club in England was founded in 1693. The club is famous for its "betting book" where the results of the strangest bets are noted. For example, there was a ‎£3,000 bet on which raindrop would reach the bottom of a window faster. Women cannot enter the club. As a rule, it consists of the rich, politicians, athletes, and artists. You can enter through the invitation of 3 of its members. Ise Grand Shrine is the main shrine of Japan where lots of national treasures are kept. The most significant of them is the legendary mirror of Amaterasu — Yata no Kagami. According to Shinto traditions, the temple is destroyed and rebuilt every 20 years. Only priests and members of the Imperial family have the right to enter its territory, and the rest can only admire the shrine from afar. The secret subway line is located at a 210-meter (689 ft) depth under the busy Moscow streets. The tunnel was built during the reign of Stalin and connects important strategic assets such as the Kremlin and the airport. One can enter the territory only with a special government pass. It’s located in Salt Lake City inside the Granite Mountain at a depth of 180 m. There are huge doors that serve as an entrance to the vault, and the territory is heavily guarded. In this place the church stores the most important historical treasures and documents. It’s known that one of the main values is a library consisting of 40,000 microfilms. No one knows what other artifacts are hidden in the vault. Only the Pope and the higher ranks of the church can enter the archive itself. The archive racks are 84 km (39.8 miles) long and number millions of documents. Some of them are more than 1,200 years old. The only way to see its priceless artifacts is to get involved in science and prove the importance of your work. At the same time, scientists are only allowed to request a document by number and write out the necessary information. Club 33, located in Disneyland, is one of the most closed places in the world. It was founded by Walt Disney in 1967 for the most influential businessmen, celebrities, and politicians. After the opening, 33 representatives of the world’s largest corporations had membership. Those who want to join the club must pay $30,000 and "stand in line" for 14 years. This place is so secret even the Bright Side’s team couldn’t find out its location. Friday, 12 January 2018 Guy Shares Sexist Meme On Facebook, Gets Taken Down By The Perfect Person: His Mom. Friday, 12 January 2018 Ally Sheedy And Other Women Are Calling Out James Franco For Predatory Behavior.